As the primary caregiver in my family, it seems like I have lost all my rights to have any kind of a normal life. Every time I want to do something for myself, and others need to fill in for me in some way or go without something I usually do for them, there is a LOT of complaining and pushback. So much chaos and stress erupts that I end up cutting short whatever my plans are, so I can put things back in order. It just never works out for me! It really feels like they are trying to tell me that I shouldn’t even ask for them to pitch in so I can go take care of my own needs – or that the little I am asking for is too much (and trust me, it’s not!!). Thanks to all that I’ve been learning from you, I am determined not to give up on ME just because it’s ruffling their feathers to be inconvenienced! But if possible, I’d love to be able to make the conversation go more smoothly. It would be great to have them actually be cooperative…but I’ll be happy to start with less upheaval first! So, please tell me what you suggest for my situation. How do I go about expressing my needs without causing drama and upset? First, I applaud you for putting the ideas you’ve learned into action – bravo! Give yourself kudos and celebrate yourself for taking steps to bring about the change you desire. That and more practice are the only things standing between you and success, so keep up the great work! This is a situation in which many family caregivers find themselves. As you have taken on more and more in terms of responsibility, obligation, and care, those around you have certainly gotten used to you doing it all. It has never occurred to them just how much this has allowed them to go on with their daily routines and lives – they are just taking the situation for granted right now. So, yes – it’s no surprise there’s been pushback when you’ve asked for and TAKEN the time you need for self-care. Their resistance, chaos, and drama do NOT mean you shouldn’t or can’t take care of yourself. Their reactions to your requests are opportunities for you to STOP! BREATHE! and FOCUS! Then – very important step – check in with yourself to see how committed you are to your Desired Outcome. What is it you really want? Let the answer to that be the thing that strengthens your resolve and keeps you focused while your family members have whatever reaction they have. Since you already know and expect how your family members will react to your requests, you can prepare for these moments. Visualize those encounters, and identify different responses to their behaviors that you can choose from when the time comes. Realize that up till now every time you’ve ended up NOT taking time for yourself for whatever it is you need or want, that has reinforced a pattern of self-deprivation. That’s exactly what you want to avoid repeating. 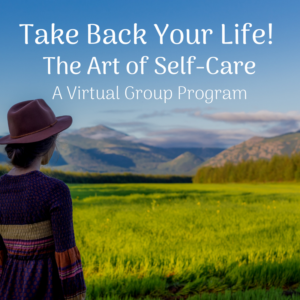 Breaking out of that self-deprivation pattern is a challenge, and developing the ability to handle it easily is something we learn and practice extensively in our Take Back Your Life Group Program…in other words, you are not alone! Make Your Desired Outcome a Priority. Unless you are truly committed to what it is you want, it will be too easy to fall back into the established pattern of letting everyone else off the hook. Focus on getting a “yes” from them, and envision them stepping up and pitching in to help and fill in for you! Don’t Judge or Minimize Your Needs. If you question whether what you want to do is sufficiently important or necessary, you’ll back down from your request. As a caregiver, you’ve developed a habit of putting everyone else’s needs and feelings before yours. Your new habit is to hold firm to your desired outcome as you experience the unfamiliar feelings of 1) unapologetically letting your request stand, and 2) not feeling guilty as you allow others to figure out how they will adjust their schedules and commitments in order to help mom or dad. Don’t Explain, Defend or Justify. State the care recipient’s need clearly and directly, then take a deep breath and allow your request to stand on its own without saying anything further. Here’s an example: “Mom needs someone to be home with her next Tuesday afternoon. I won’t be available from 1 to 5, so please let me know which of you will be there during that time.” Follow with another slow, deep breath…. Similarly, once they get back to you, a great response could be, “Thank you, I appreciate you getting that figured out. I’m sure mom is going to love having that time with you/them.” Follow with another deep breath, and stay silent. Don’t add “You’re really helping me out,” or any other reference to yourself. Keep this distinction clear in your mind: You are getting your needs met by requesting their participation in your mom’s care (which is not your formal, professional obligation but just something you’ve been doing because you’ve been willing to do it). They are participating in meeting your mom’s needs. Simply feel appreciation for their cooperation, especially if they gave it in a timely way. Stand Firm in Your Commitment. When you hear resistance, excuses, or problems with that day or time, just breathe…and listen without responding. The most I would recommend saying is, “I understand that this is a change from the norm, which is why I’m giving you as much notice as possible – so you have time to figure out how you want to handle it.” Take another slow deep breath, and stay quiet…. This is your opportunity to make a break from the past and really change the outcome. 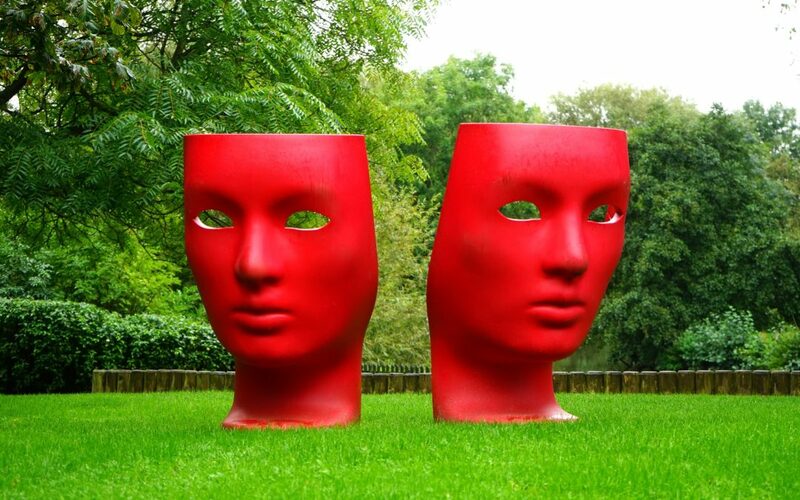 As I stated earlier, there will be a reaction – and you will label that as drama and chaos, as before…. But in reality, it is your opportunity – to take yourself and your needs seriously, and follow through in a different way than you have in the past. Seek Out Other Options. 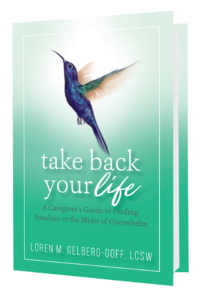 If your family members really are unwilling or unable to step up, be willing to explore other options for having your needs met (…and if you can’t come up with any plausible ideas, or you’re convinced there aren’t any, check out the Caregiver’s Step-By-Step Guide – it will walk you through some fresh ideas for finding possibilities where you thought there were none! ).Be willing to sit with your family and say “Well, if none of you are available next Tuesday, let’s brainstorm to see how else we might get mom the help she needs that day when I won’t be here.” This is you staying committed to your desired outcome. You are including them in this process and letting them know that this is a shared responsibility, not yours alone – including any potential financial costs. Here’s the link again to your Step By Step Guide for additional help along the way.